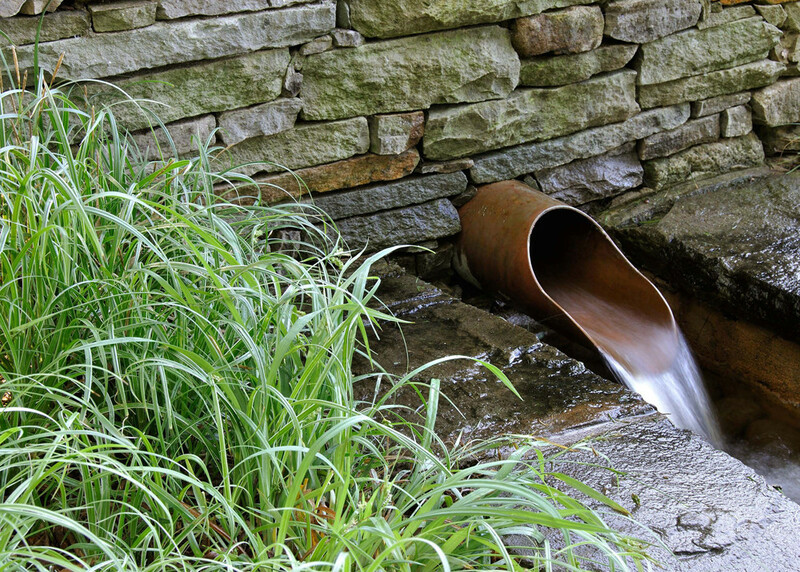 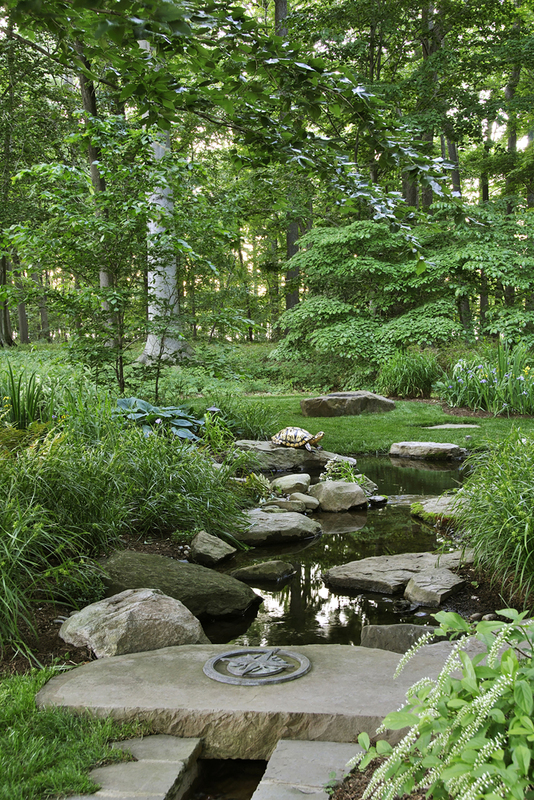 Somewhere on a remote peninsula of land on Maryland’s Eastern Shore, there is an arrow-straight-stream running through a native forest of Beech, Gum and Oak. 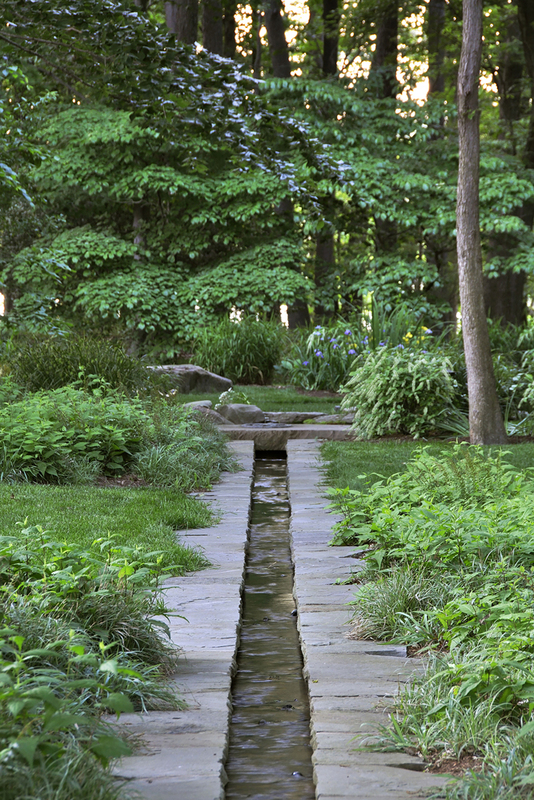 This ‘stream’, referred to as a ‘Rill’, is the central piece of a 3-part water feature that begins in formality and ends in rustic solitude, bridging a missing connection between formal garden and native woodland. 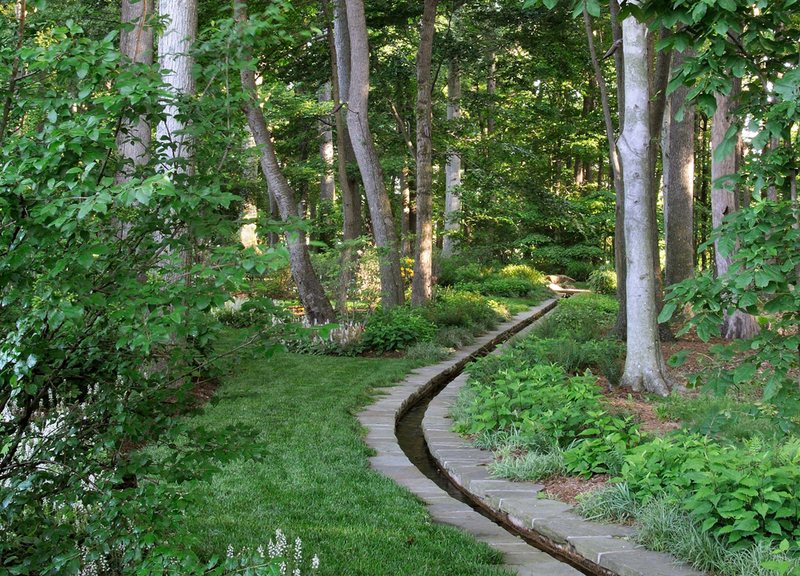 Follow the path of The Rill to experience this truly unique landscape. 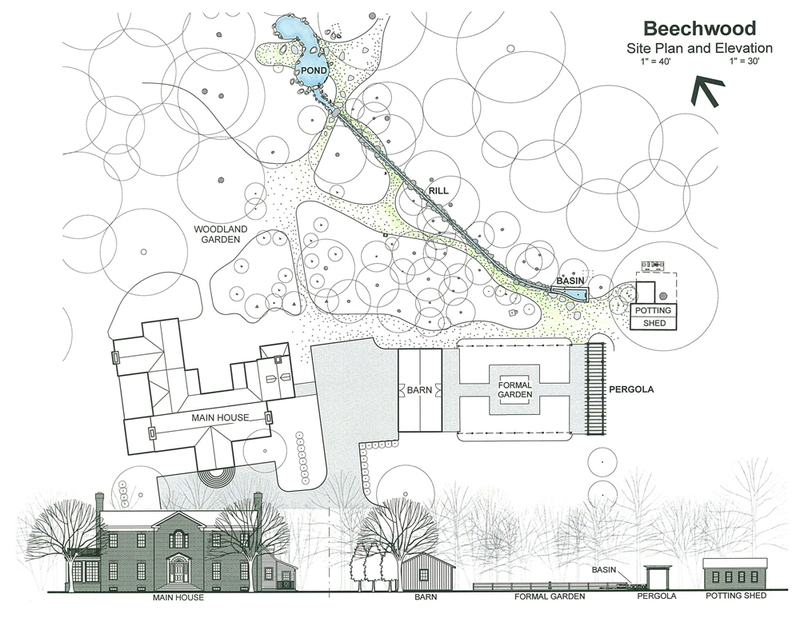 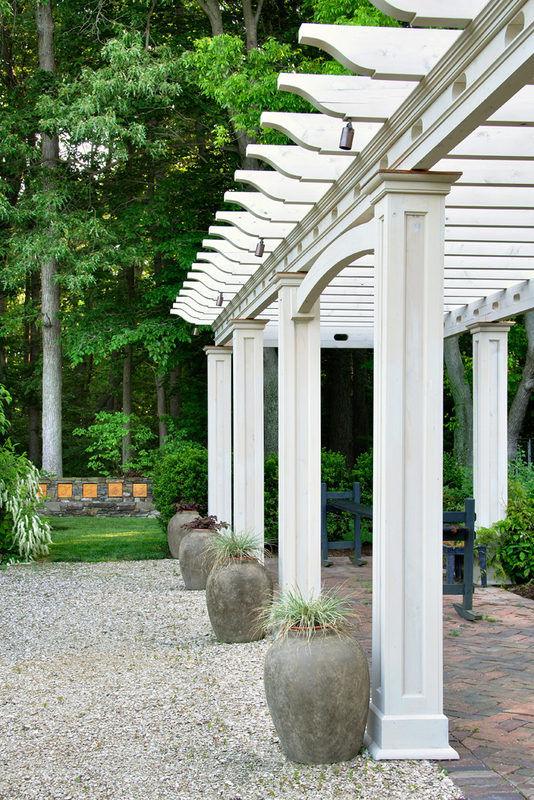 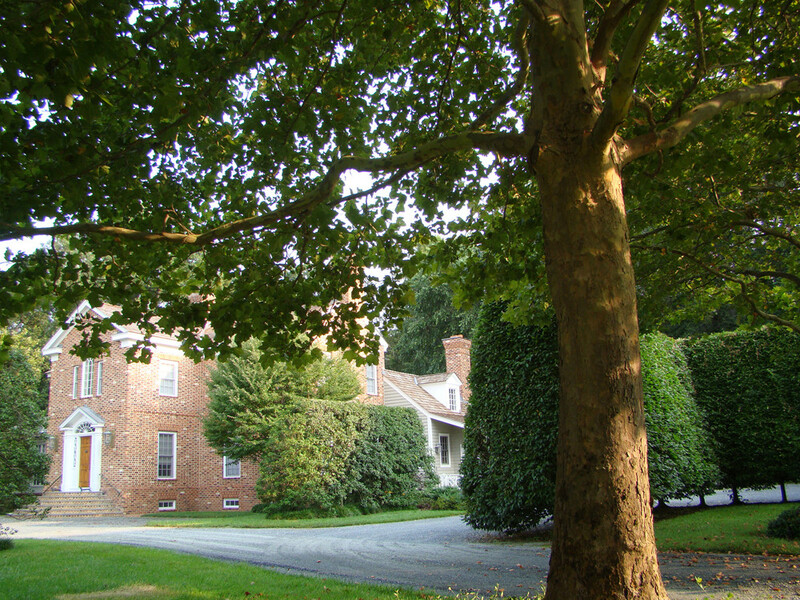 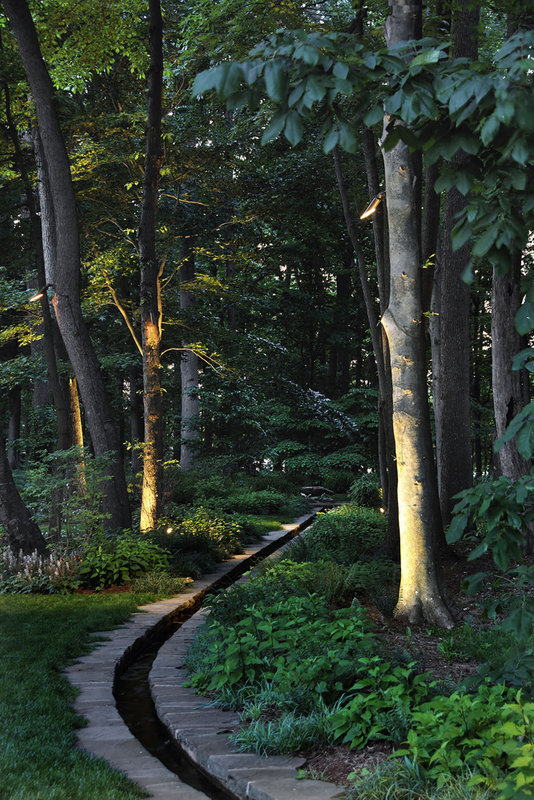 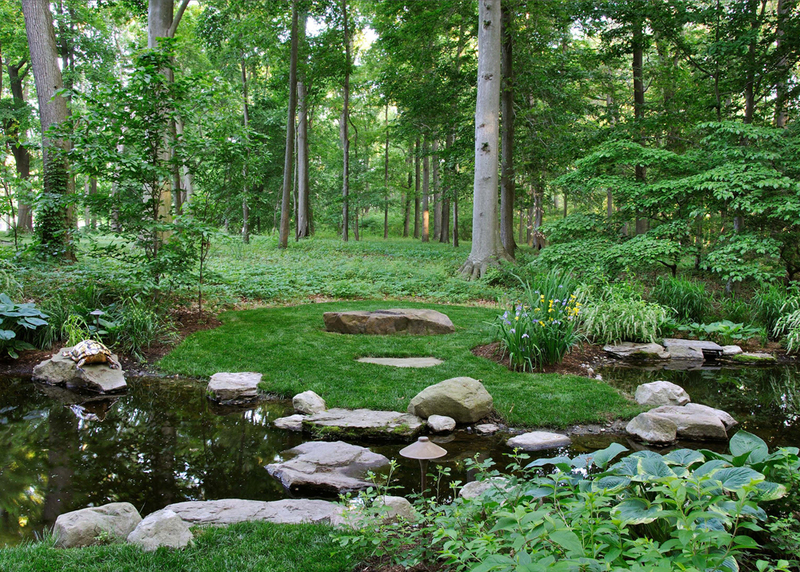 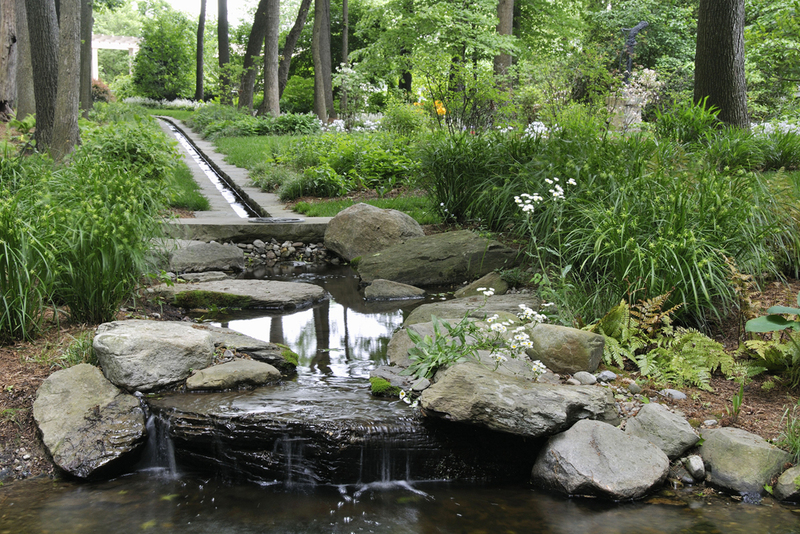 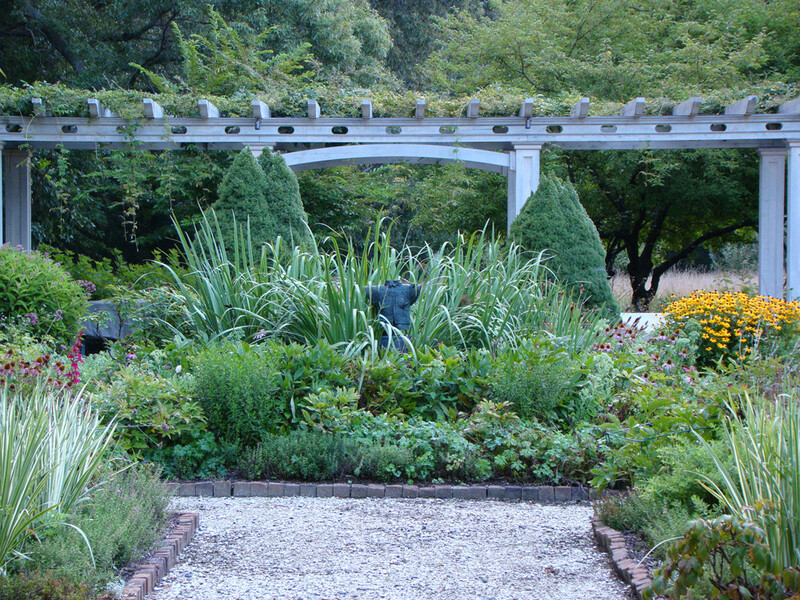 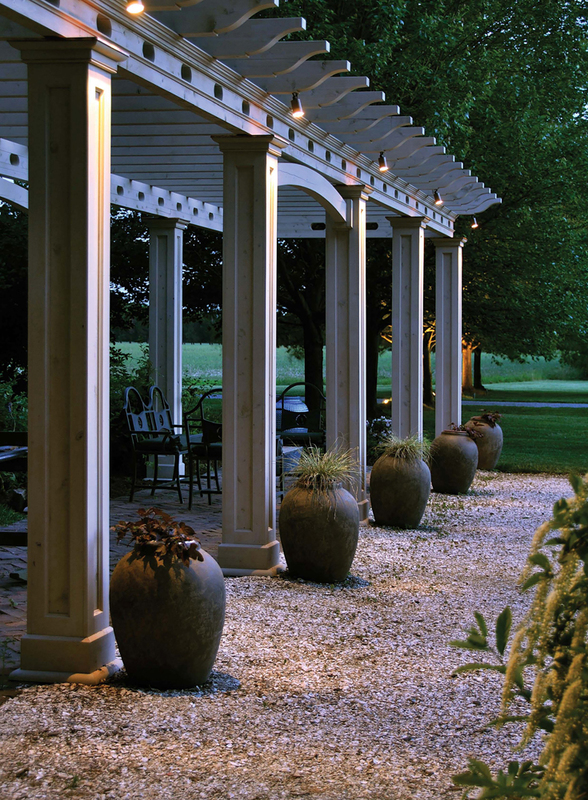 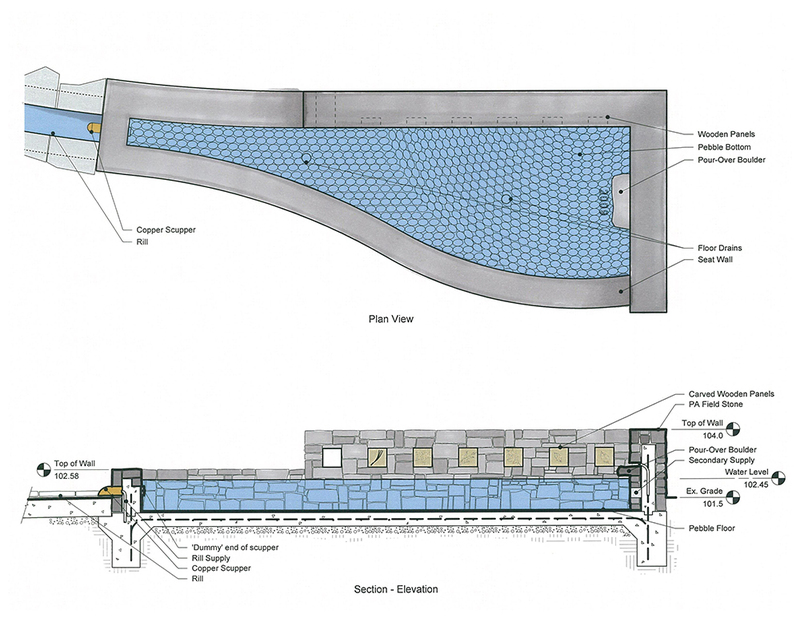 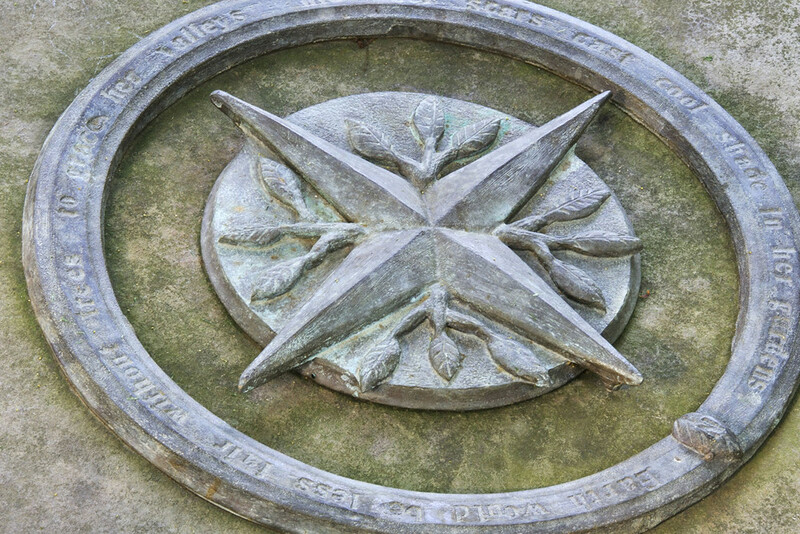 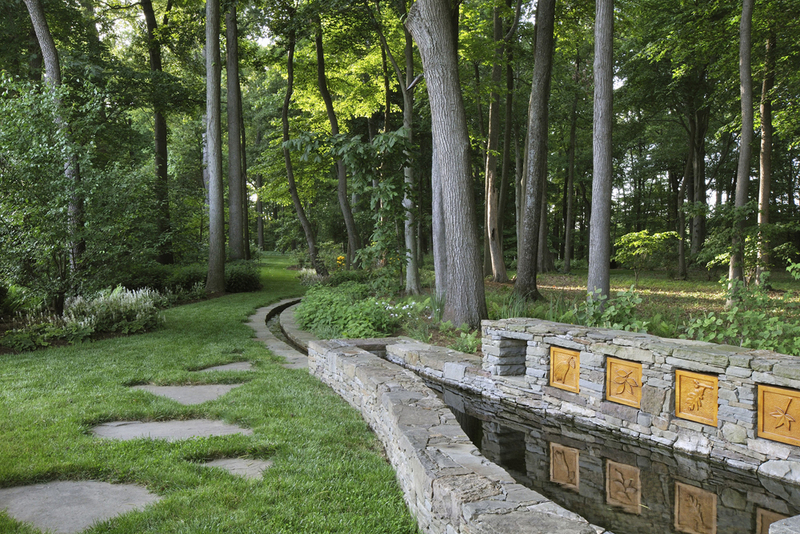 The clients hired the landscape architect to design a new landscape that would create connection between a formal garden, and the adjacent natural forest on this 122 acre property. 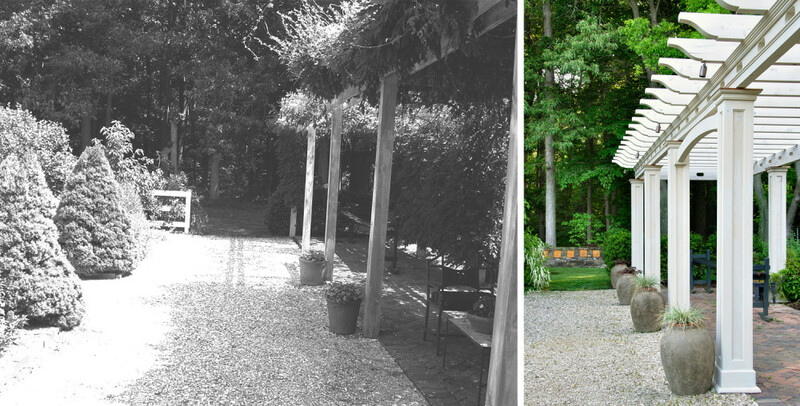 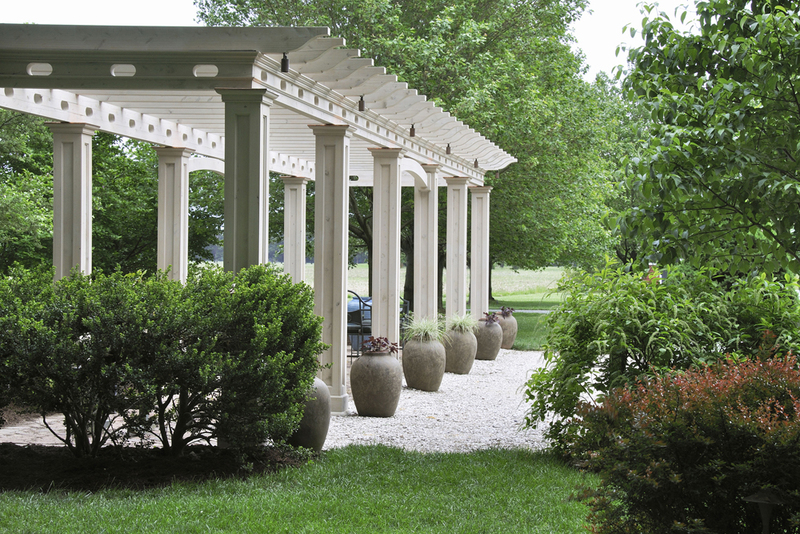 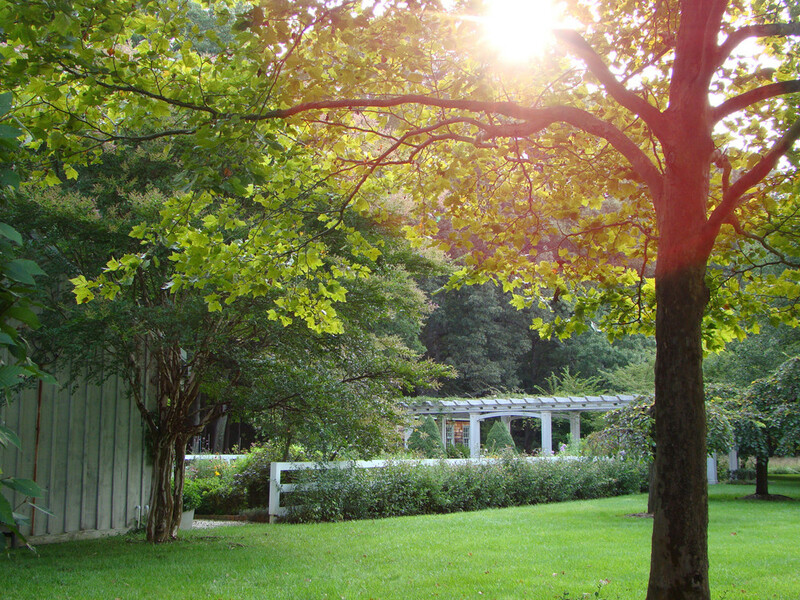 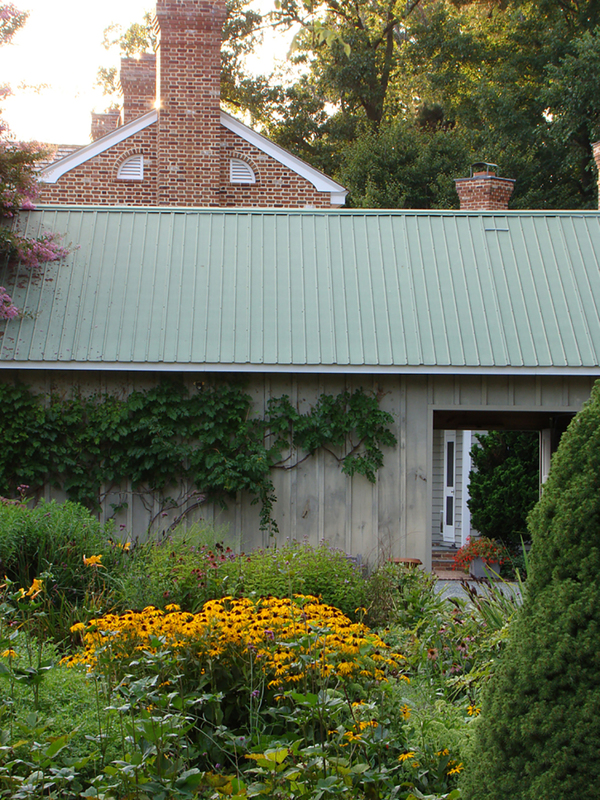 In addition to creating the new water feature South Fork Studio also redesigned and replaced an existing pergola. 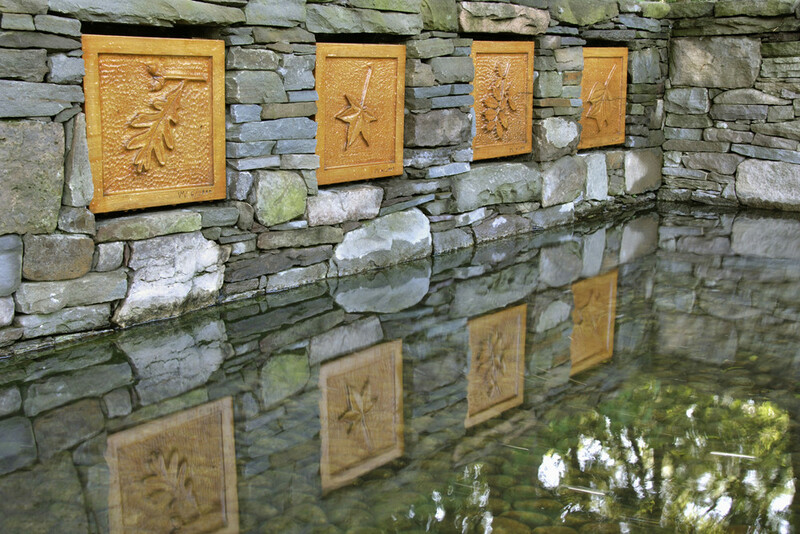 The project was also made possible by a team of artists, craftsman and contractors all selected by the LA and all drawn from the local community, none traveling farther than 30 miles to reach the project site.